The MotoAmerica Road Race Series is sanctioned by the AMA and FIM North America. Yamaha riders can compete in five classes: Superbike (YZF-R1), which is the premier class, Supersport (YZF-R6), Twins ( MT-07), Stock 1000 ( YZF-R1) and Junior Cup (YZF-R3). Visit the MOTOAMERICA website for results and standings throughout the season. Riders dedicated to being the best, on race day and every day! Behind the scenes with Yamaha Road Racing. Now is the perfect time to show your true colors. 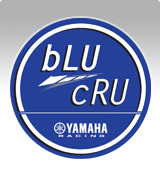 Yamaha's Amateur Racing Support program.